First off, how cool are those covers?! Not only are they really well designed but they also very neatly tie in with their story. Hungry Ghosts was a 16 page spookfest, starting off with the 10 rules of surviving the festival of hungry ghosts. Clearly, Lara and Ray didn’t mind these rules while on holiday in China… to their cost. I really enjoyed the premise of this story, especially the 10 rules at the beginning but as it was such a short story it wasn’t possible to fit each rule in to the narrative. The author’s vision is excellent but in this story I felt that his writing technique wasn’t developed enough to completely convey everything within the limited page space, the relationship between Lara and Ray was a bit of an information dump which could have been explained far more subtly, leaving more room for the ghosts and the gore! 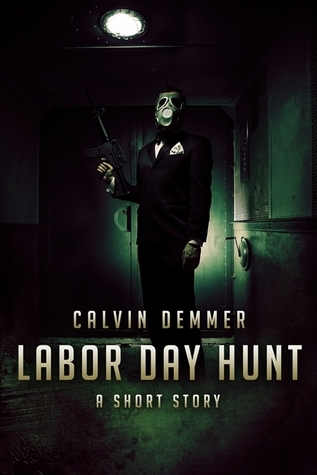 I get the feeling that Labor Day Hunt was written after Hungry Ghosts, after the author had a chance to hone his craft, so to speak. He managed to build a connection between us and Jared, the main character, very easily so that when the hacking and the slashing started we were rooting for him. This story was a lot more violent and gory than the first, with limbs falling off all over the place – so if you dig the Blade mythology, this would be a nice little snippet of literature for you. Both of these stories were enjoyable reads and the writer’s imagination makes me hope that he has a full length book in the works. 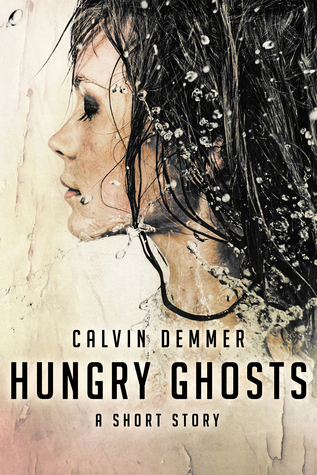 I liked these stories as well… I rated hungry ghosts higher though,i enjoyed the aspect of a different culture… But both were entertaining for sure! I’d love a full length Hungry Ghosts, that’s for damn sure! Agreed on full length Hungry Ghosts!